InLight Medical has ten featured LED light systems. Additional LED light pads can be purchased for your specific needs. Please contact me for pricing and together we will design a system right for you. 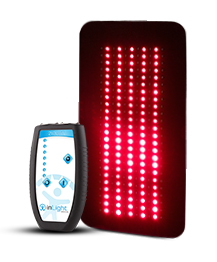 InLight Medical’s original Platinum LED Light Therapy System. Featuring a state-of-the-art 6/Port PRO Controller plus our travel-lite 2/Port controller. 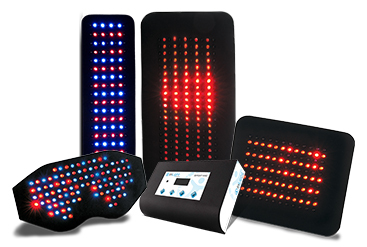 This system includes six pads in the combination of 1200 + Red, Blue and Infrared LEDs to use on your entire body. This system is great for professional and personal use. 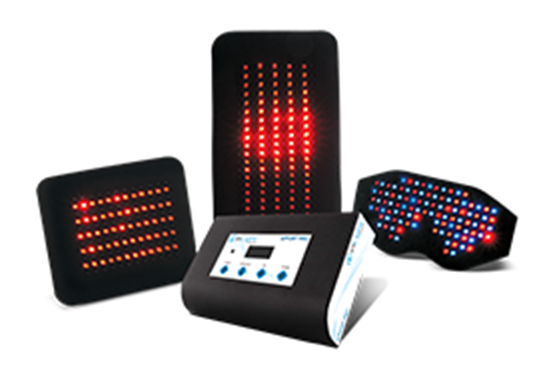 The 6/Port PRO System is a great way to bring LED Light Therapy into your life. With this system you can effectively reduce your pain and inflammation, boost your blood circulation, increase your collagen production, and more! It is perfectly designed and packaged for maximum self-care at home, in the office, and on the go! The system features a state-of-the-art 6/PORT PRO Controller, four pads which include a combination of of 650 + Red, Blue and Infrared LEDs. The 6/Port PRO Expandable System is a great starter kit for anyone looking to bring LED Light Therapy into their lives. It comes equipped with three pads providing the healing power of 500 red, blue and infrared LEDs. You are left with three open additional ports, when your ready to add to your system, bringing your light game to the next level. Start your day off on the right foot! Studies show that LED Light Therapy can improve blood circulation and decrease the pain symptoms associated with peripheral neuropathy. Ease the sensation of neuropathic pain with a pair of our podiatric boot pads which include 244 Red and Infrared LED’s. In addition the system comes with our 264 Body Pad and 132 Local Pad. Providing an all together healing power of over 600 Red and Infrared LEDs. Start your day off on the right foot with our original Podiatric LED Light Therapy System. Studies show that LED Light Therapy can improve blood circulation and decrease the pain symptoms associated with peripheral neuropathy. Ease the sensation of neuropathic pain with a pair of our podiatric boot pads which include 244 Red and Infrared LED’s. Experience LED Light Therapy on the go with our original, easy to use, 2/Port 2 Pad Travel System. This system comes with our 132 Local Pad and Eye mask. Providing the healing power of 200 + Red, Blue, and Infrared LEDs. A perfect system to bring to work, use in your car, or even on the plane. Experience LED Light Therapy on the go with this easy to use 2/Port 2 Pad Pain Travel System. This system comes with our our two most popular pads which include our 264 Body Pad and 132 Local Pad. Providing the healing power of 396 Red and Infrared LEDs. A perfect system to bring to work, use in your car, or even on the plane. The 2/Port 2 Pad Beauty system utilizes both blue and red light for beautiful and revitalized skin. Dermatologic researchers have found blue LED light can be helpful in addressing mild-to-moderate inflammatory and hormonal acne. Blue light (400 – 500 nm) can reach the pores where bacteria live and aid in killing the p. acnes bacteria that can be an element underlying acne outbreaks. Whether for home use or professional care, this Beauty System can rejuvenate your skin at any age. Target trouble areas with the 2/Port 1 Pad system. The popular Body Pad offers 264 red and infrared diodes to address and decrease pain. A perfect and compact system to bring to work, use in your car, or even on the plane.